Ready to freefall 120mph from 13,000 foot? If so this solo skydive is just the thrill for you. This full course will train you how to control your full descent. You’ll be ready to leave the aircraft with your two AFF instructors hanging onto you, before you practise pulling the ripcord while plummeting over 100mph. At 5,000 feet you’ll deploy your parachute and fly safely back to the landing area. Accelerated Free Fall Skydiving can be carried out by people up to 55 years of age, persons aged 40 or over require the approval of their doctor. 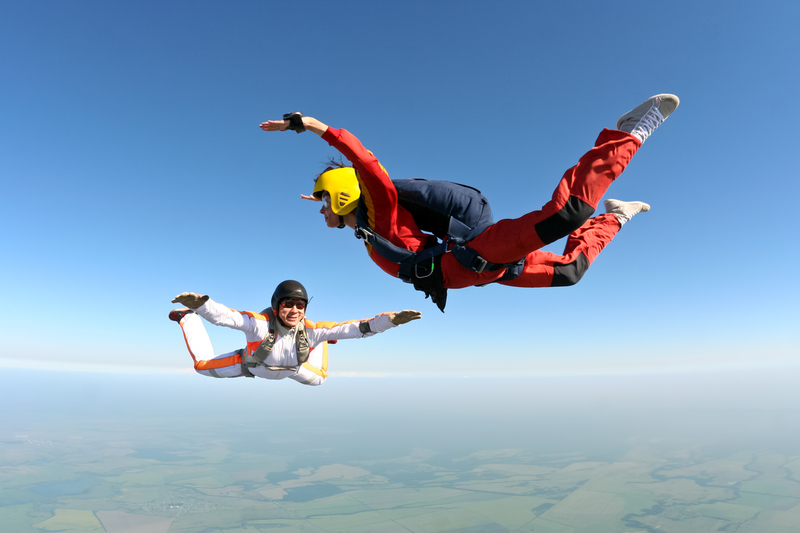 It is best to book at least 2 months in advance if you want to carry out an AFF skydive. We recommend you book at least 2 months in advance to ensure that dates are available before the expiry date listed on the voucher. This is only a guideline and we advise you to book as early as possible to ensure that dates are available before the expiry date listed on your voucher. All bookings are subject to availability. Age 16-18 a student declaration is required with parental / guardian consent. This form must be completed prior to your training and jump, the form must be signed by your parent/ guardian. Once booked with provider you are bound by their terms and conditions. Maximum weight: 15.5 stone for men and women. Fitness/Health: You can self-declare that you are in good health and well enough to be able to do the jump. The centres partnered with us hold public indemnity liability insurance.